Congrats from NOAH on an awesome event! 🙂 To our awesome event hosts and all who attended and donated – we can’t thank you enough for your generosity! 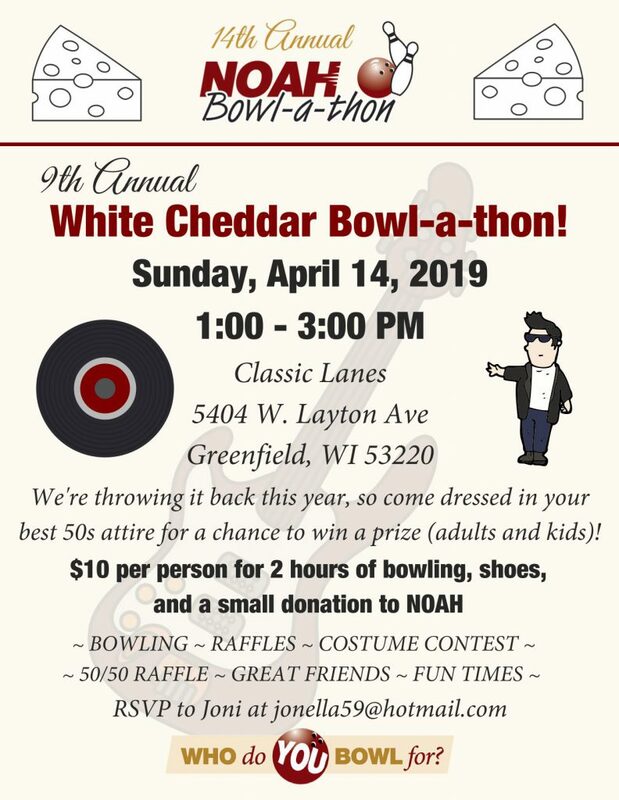 Support Wisconsin’s White Cheddar’s Fundraiser!